Happy Labor Day!!! If you’re here in the States you just might be planning a cookout today. And just in case, I have the perfectly easy and deliciously tasty sauce for you to mop all over your grilling goodies today. Plumb BBQ Sauce! Super easy & cooked on the grill. 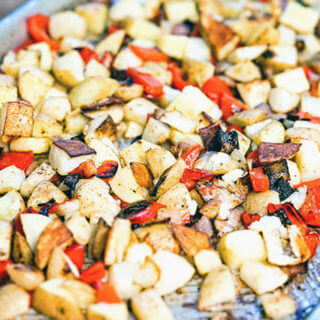 And because you’ll want to offer up a meatless grilling option, how about these yummy grilled vegetables? I find when I’m working with food, I will cook what’s in season (that’s good!) but then because I’m focusing on that one ingredient, I present several recipes using that ingredient. Bad? Not sure – you guys tell me! If you get tired of something, don’t be afraid to let me know ok? 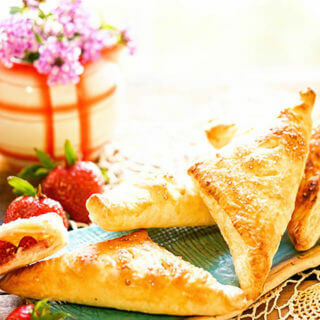 I think earlier this season I must have posted 4 recipes using corn, then strawberries, etc. Now I’ve moved onto sweet bell peppers. You know the ones you buy at the store in a bag and there’s 35-30 in a bag? It’s kinda hard to use them all up, but I hate throwing food away. Here’s what I always say….it can go to waist…but not to waste! 😀 I’ve put the bell peppers in salads, made sweet pickled peppers (recipe coming soon) and I’m working on an amazing appetizer too. So delicious! I wanted to make kabobs with just peppers….but there wasn’t quite enough (because they went to waist…). So I was I added some zucchini and red onion., but this is the time you get to choose. Use your favorite vegetables. The true star of this blog is the Plum BBQ Sauce. Sweet and just a little spicy it’s perfect for an easy kabob! But the sauce…. 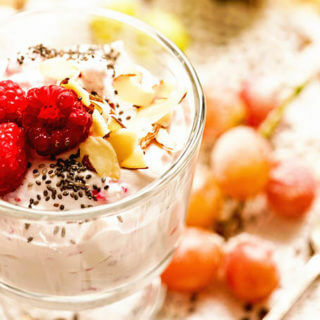 It is so delicious and super simple! 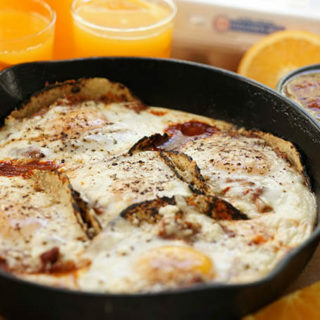 All of the ingredients went into the blender and it was processed until smooth and then poured it into a small cast iron skillet and cooked/reduced it right on the grill. See it just bubbling away? Awesome flavor from the sweet plums with just a hint of spice. It’s over the top delicious! Plum BBQ Sauce is the star of this meal. Sweet and just a little spicy it's perfect for your favorite kabob! There is no need to peel the plums. Add all of the ingredients to your blender or food processor. Process until smooth. 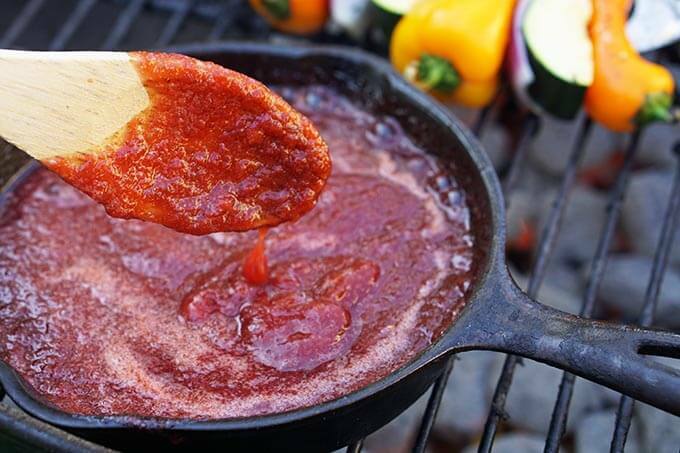 If reducing on the grill, pour into a small cast iron skillet and reduce the sauce. You'll need to stir it frequently so it doesn't burn. If reducing on the stove, place in a small sauce pan over medium heat and reduce stirring frequently. This takes about 10 minutes, either on the grill or stovetop. Choose your veggies and prepare the skewers. After cleaning the vegetables, thread them onto the skewer, brush with olive oil and sprinkle with salt and pepper. Grill about 3 minutes each side, mop with sauce, flip & repeat until the vegetables are cooked. 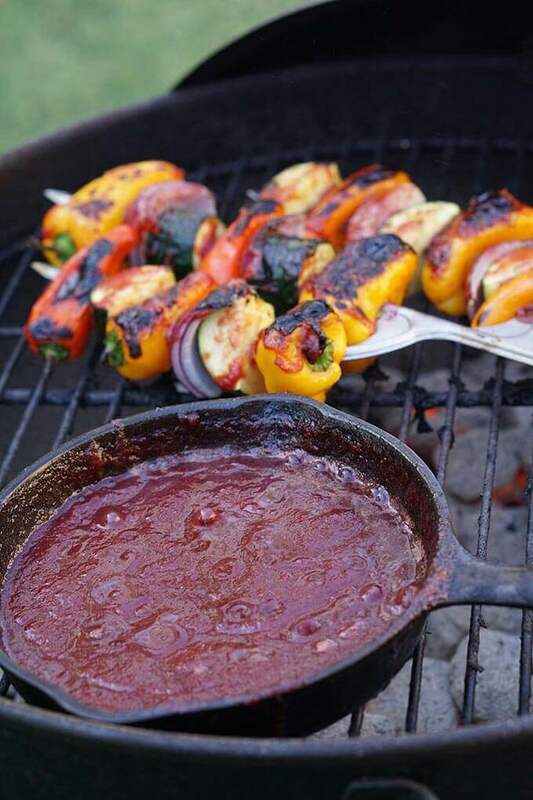 What can be easier than Veggie Kabobs with Plumb BBQ Sauce you make right on the grill. 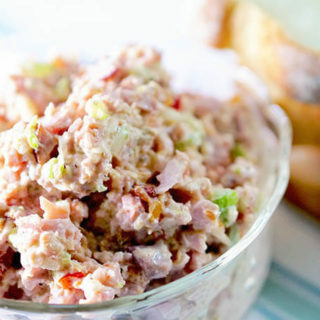 Simple and so flavorful! 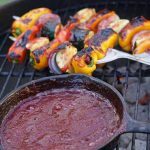 I made a jalapeno plum bbq sauce last summer and plums just add such great flavor to a bbq sauce. 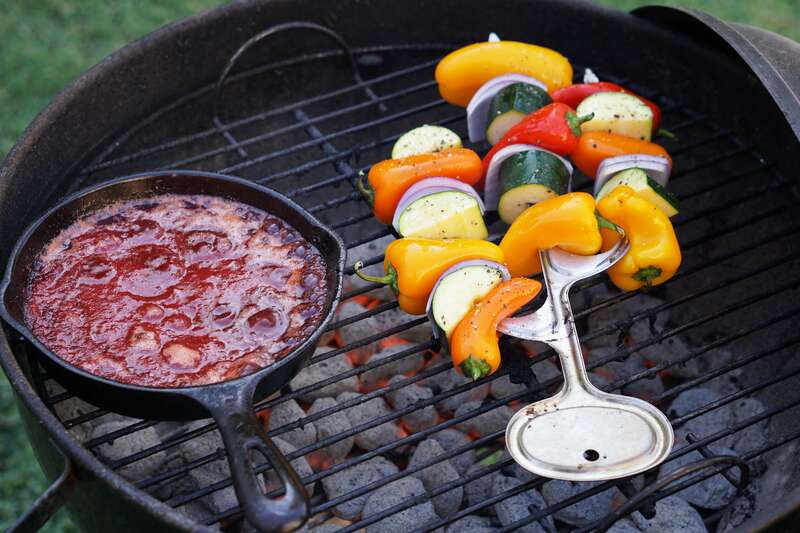 I love that you’ve grilled veggies to go with your version and that you can reduce it right on the grill in the cast iron skillet – it looks scrumptious! Mmmmm! Loving your sweet/heat combo, that sounds delicious! That sauce on the grill is just bubbly goodness!!! Thanks Adriana, the plums work so nicely in this recipe. Enjoy! Look at that char!! Amazing! I love that you use fresh plums in your sauce, which also looks incredible! That char is definitely where it’s at! Thanks so much Julie!! 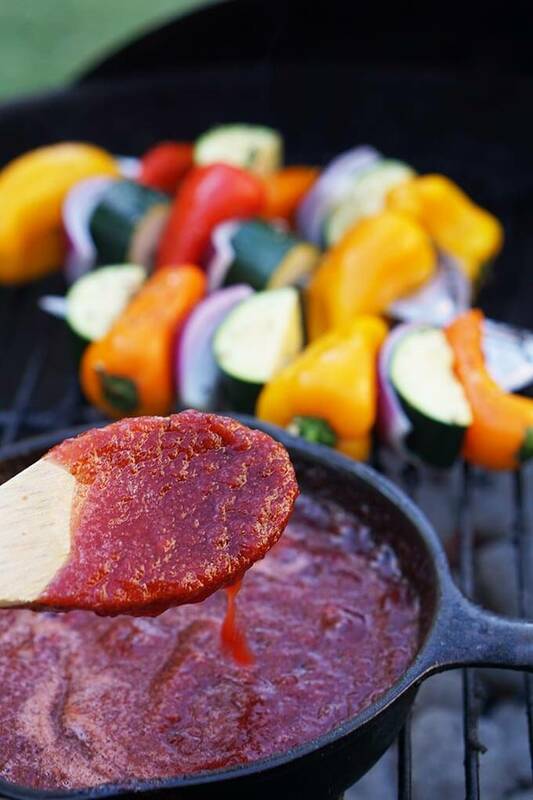 O wow… I love the sauce you make here… And those veggie kabobs seriously amazing! Thanks Citra, such a great use for our tasty plums! That plumb sauce looks delicious and so flavorful! I have plenty of grilling time here in CA, so I’m going to give this recipe a try! That’s the beauty of living in Cali Sandra, gotta love our sunshine! Thank you so much and enjoy! I love kabobs of any sort. You feel like you’re getting a huge meal, but I find it easier to control portions this way. I love the sauce you use on these veggies, too. Yum! I agree Dee Dee and it’s such a great way to sneak in more veggies – grilled peppers are my fav veggie so delish! That plum bbq sauce looks and sounds soooo good! I’ve never made my own BBQ sauce. Wow, this one looks packed with flavor and I think I might give it a go! Yummmm! I am still grilling and this recipe is on the list! Plum sauce!!! That sounds AMAZING!! I bet the veggies are so delicious with that beautiful sauce. Indeed Camilla – full of big delicious flavor! I enjoy! Ive never had a plum BBQ sauce but boy does it sound wonderful!!! 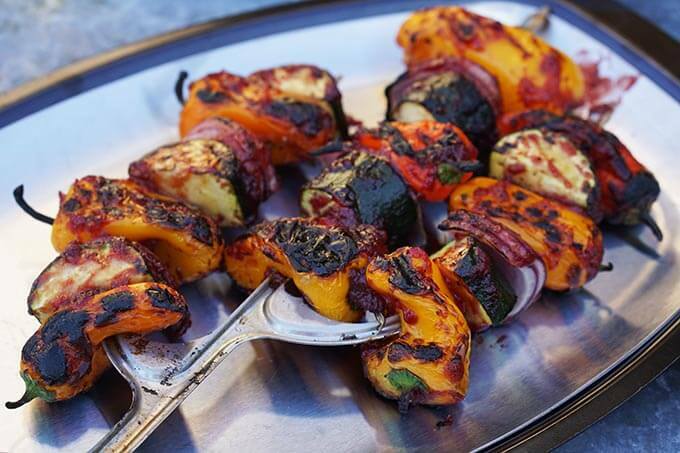 Love grilled veggies so this is certainly one I need to try! I love plums and jus the other day my friend Michelle and I were talking that plums are the overlooked fruit! 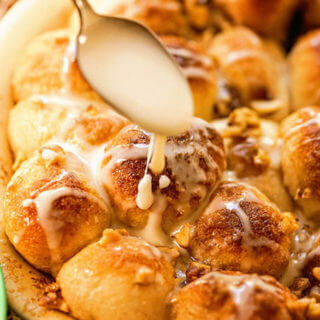 😀 I hope you give this a try – simple and yummy! Hi there 🙂 do the plums need to be peeled beforehand? Looks great! Hey Jessica, I’m so excited you’re making this sauce – it’s just spectacular! No need to peel the plums, just remove the pits. That’s a great question, I’ll update the recipe to alleviate future confusion. Thank you!! Looks and sounds great. Just wondering if you can make larger batches and store it . Hey Andrea – You sure could, just make it up – seal well and freeze. Thanks for checking! I made this sauce today and love the combination of sweet, sour, and spicy. 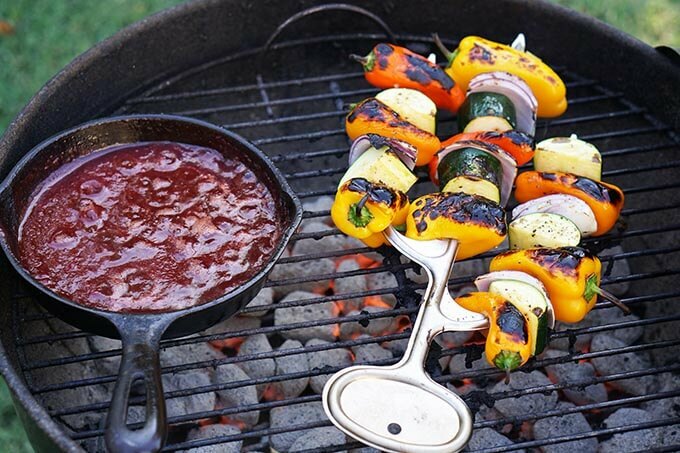 I don’t have a grill, so I thought I’d use the sauce for dipping with roasted vegetables. Does that sound like a good idea? Hey Margo, that would be perfect! You’ll love this sauce with veggies! This might have been answered already but I didn’t have the time to read through all the comments. Where did you get those kabob skewers? Hey Amy, yes it’s in the recipe – use your veggies of choice! I especially love those little bell peppers, onions and zucchini. If you have some mushrooms, even better!